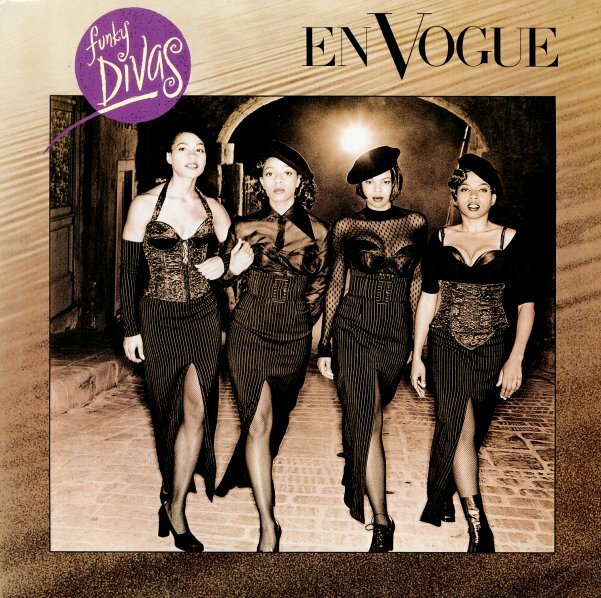 Funky Divas is right – as this classic album by En Vogue is one that had the group really redefining the sound of girl group soul for a whole new generation! The girls do a wonderful job of blending together hip hop beats and warmer mainstream soul – at a level that marked one of the key bridges between R&B and hip hop in the 90s – almost making the group kind of a trans-generational healing force in African American music. After all these years the beats are still pretty great, and the vocals even better – and titles include "My Lovin (You're Never Gonna Get It)", "Free Your Mind", "Giving Him Something He Can Feel", "Give It UpTurn It Loose", "Hooked On Your Love", "Love Don't Love You", "This Is Your Life", "Desire", "Hip Hop Lover", and "It Ain't Over Till The Fat Lady Sings". © 1996-2019, Dusty Groove, Inc.